2016 was a pivotal year for iDirect Government—for the first time in nearly a decade, the company introduced a new hardware platform, the 9-Series, that is smaller, more powerful and with improved efficiency than previous offerings—the 9-Series was definitely worth the wait. The 9-Series portfolio of remotes and defense line cards brings greater spectral efficiencies and enhanced performance to our government customers, and positions them to be able to receive multiprotocol encapsulation (MPE) broadcasts such as Global Broadcast Service (GBS). The 9-Series now allows the user to support both one-way and two-way TRANSEC and is certified at FIPS140-2 Level 3. The series consists of the 950mp, which takes the technology to new heights. Our engineering team has been able to cut the size of its predecessor, the 850mp, in half, as well as simultaneously cutting the power consumption and weight in half, all while doubling the device’s performance. The benefit is that our integration customers will now be able to design smaller, lighter terminals for the firm's government users—the new terminals will operate at a higher speed while using less power and generating less heat. The 900 board and 9350 remote both have dual demodulators. This allows the remotes to support two separate data streams. The DLC-T and DLC-R next-generation defense line cards enable secure voice, data and video satellite communication links and allow the 9-Series remotes to operate on the new high throughput satellites (HTS). The DLC-T supports one-way TRANSEC and is DVB S2X ready. The DLC-R has an on-board TRANSEC module, can support as many as 16 channels and offers as much as four times more composite Msps and two times increase in per channel time division multiple access (TDMA) and Adaptive SCPC returns. iDirect Government also introduced 3.4.1 Evolution software, which brings the 9-Series to life. The software supports the 950mp, 900 and 9350 remotes, as well as the DLC-T and DLC-R defense line cards—all from a single platform, enabling 9-Series remotes to operate and coexist in future networks. This helps defense and government customers to easily transition to future software releases. We are happy with both the platform and software the company has developed thus far and these innovations would not be possible without great customer feedback and input. The way the firm handles product development is different from other companies’ approaches. iDirect Government operates in a non-traditional format in that we spend our own research and development dollars to develop our products based on the feedback from our customer base. This is done in order to more quickly respond to customers and market needs. Our customers had a direct role in planning the 9-Series and new features in the Evolution software. Decisions are made based on input from the customer base and then a common intersection of the needed features is developed. Customers want to stay with us, which means providing them with next-generation technology. This allows the firm to move a lot faster this way instead of waiting for a contract. What iDirect Government develops is perfectly aligned to what customers require. One of the latest features developed from this approach is the dual demodulators. The company developed a satellite technology platform and software that works well and added features to enable customers to easily upgrade to new software. As an example, with the new 9-Series, a customer can initiate a network with Evolution 3.4 software and then, when available upgrade to 3.5, to have the ability to operate both 3.4 and 3.5 remotes in the same network. The flexible and scalable 3.4 software enables the 9-Series remotes to operate and coexist in future networks, helping defense and government customers to easily transition to future releases. All of these new products and enhancements allow for increases in the firm's customer base and into new markets, such as GBS. As of this writing, there are new products on the horizon that include the Tactical Hub, which is a ruggedized, compact, durable and deployable solution that is easy to set up due to the unit's reduced size, weight and power (SWaP). The new Tactical Hub is powered by Evolution software and works with our entire remote portfolio. However, with all of the successes, the year was not without challenges. One of the biggest challenges for the company during 2016 was trying to move our company as fast as the market wanted. We introduced solutions a bit slower in MILSATCOM due to the sensitivity to networks and making sure such networks are reliable and always available—meaning no failures. On the horizon for 2017 for iDirect Government are 9-Series enhancements, a 3.5 software release and new aero modems. The new aero modems are specially designed for military customers to support their vast data and high-speed requirements. The 980 airborne modem, which can operate at altitudes as high as 55,000 feet, allows for a monumental increase in data off the aircraft. The 980 features improved performance, dual demodulators for make before break beam switching, spread spectrum returns and skew angle compensation support for aeronautical operations, enabling the use of ultra-small and phased-array antennas on military aircraft. 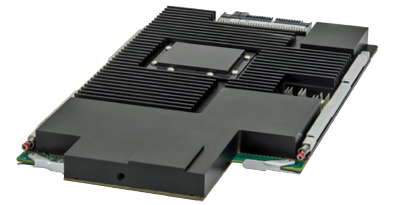 The 9800 AR/AE incorporates the 980 module into a fully integrated package. On the industry front, HTS technology in 2017 will continue to advance SATCOM, while offering Department of Defense (DoD) users the high quality, consistent reliability and lower costs they need. HTS represents a big change in SATCOM as this new technology enables beams to be focused with a strong signal and, therefore, a stronger, concentrated signal that lends itself to higher data rates on standard-sized antennas as well as high-speed operations. HTS is the biggest paradigm change since the start of the satellite industry. Whether access to high-speed Internet, streaming reconnaissance video or other communications needs, the launch of HTS and, more specifically, the development of diverse remote terminals that are designed with end-users in mind, will bring new communications capabilities to reality for the DoD. The company expects 2017 to be a big year with products, and the firm looks forward to serving customers’ needs by continuing with our customer-centric development approach in order to meet customer requirements whenever and wherever they need MILSATCOM. John Ratigan serves as President of iDirect Government. He started the federal group for iDirect Technologies in 2003 and then established iDirect Government as a wholly owned subsidiary in 2007. Under his leadership, the group has enjoyed tremendous growth, deploying thousands of terminals in support of Operation Iraqi Freedom and Operation Enduring Freedom, as well as many civilian networks. Ratigan brings more than 20 years of experience in the satellite communications arena. Prior to joining iDirect Government, Ratigan ran the East Coast operations for both Fairchild Data and EFDATA, and eventually partnered in his own company that helped EFDATA grow from $20 million to $120 million in revenue and as many as 700 employees in 2000. EFDATA became the preeminent leader in SCPC satellite technology in the late 1990s and provided the baseline knowledge and expertise that would later benefit his role with iDirect Government and the migration of technology into TDMA. In addition to starting his own company, he held the position of senior vice president of North and South American sales for the start-up, Broadlogic, as companies started to run IP directly over satellite. Ratigan began his career in the United States Senate working for Senator Bill Armstrong (R-Colorado), then joined the legal sales team at the Xerox Corporation. He holds a Bachelor of Science degree in marketing from the University of Maryland. US Air Force Special Operations Command's combat controllers,an exceptionally brave group who are first on the ground in uncertain environments. The motto captures the combat controller’s commitment to mission success and to leading the way for other forces to safely follow. “First There” is a good way to describe the work of satellite communications (SATCOM) industry leaders and Inmarsat's partners in government over the course of 2016. Such hasn’t been easy, but with determination and forward looking partnership, and a bit of government bravery, great progress is being made and the path to success is being illuminated. The National Defense Authorization Act (NDAA) for Fiscal Year 2016 promises to advance the partnership as a means to consolidate, streamline and improve SATCOM acquisitions. It calls for the Secretary of Defense to conduct an analysis of alternatives (AoA) for a future wideband communications architecture that would follow the current Wideband Global SATCOM system (WGS) which includes space, air and ground-layer communication capabilities. In addition, it approved a pilot program through which the Secretary of Defense would deploy a variety of methods to “effectively and efficiently acquire commercial satellite communications services.” The plan will contain a detailed cost assessment of SATCOM services, including the projected savings of such consolidation. As part of the AoA initiative, the Air Force is seeking industry input on the capabilities that commercial companies can provide to satisfy future government needs. Winston Beauchamp, Deputy Under Secretary of the Air Force for Space and the Director, Principal DoD Space Advisor Staff, and Maj. Gen. Roger Teague, Director, Space Programs, Office of the Assistant Secretary for Acquisition hosted several meetings with satellite industry representatives to engage them in dialogue to help shape the wideband AoA. The Air Force expressed keen interest in bringing commercial operators into the analysis to determine the right way forward, rather than simply buying more DoD-owned satellite assets. As part of its analysis, the Air Force is expected to explore new or innovative business relationships with SATCOM suppliers, such as the managed service model. This is a significant recognition of the capabilities the private sector brings to the military’s operational picture to augment its legacy satellite resources and to ensure robust and globally accessible wideband delivered as a service in a contested and budget-constrained environment. US Strategic Command's Joint Functional Component Command for Space announced that it plans to formalize the permanent presence of commercial satellite owner/operators within the Joint Space Operations Center (JSpOC). This follows last year's launch of the Commercial Integration Cell (CIC) pilot program at the JSpOC, one through which Inmarsat and five other satellite services companies—DigitalGlobe, Eutelsat, Intelsat General, Iridium Satellite Communications and SES Government Solutions—have formalized partnerships with the government under the guidance of Cooperative Research and Development Agreements (CRADA). Literally working on the JSpOC floor every day, the CIC has helped the government achieve greater space situational awareness while enhancing the command and control capacity of JFCC Space. It has focused on the improvement of processes and commercial/government integration in conducting conjunction (or debris) assessments and addressing electromagnetic interference and resolution. "The CIC is a method of pursuing greater cooperation and synergy in the space environment by integrating liaison personnel from the commercial space operator sector within the Joint Space Operations Center under the governance of Cooperative Research and Development Agreements," said Rear Adm. Brian Brown, deputy commander at JFCC Space. "The CIC will help facilitate rapid identification, diagnosis and resolution of on-orbit anomalies while also increasing the overall resilience of US government satellite operations." Lawmakers have incorporated some of the bill’s language into this year’s NDAA, including the implementation of preliminary steps needed to transfer space situational awareness oversight from the DoD to the Federal Aviation Administration (FAA), as part of a broader plan to eventually hand over space traffic management duties to the FAA. Doug Loverro, the Deputy Assistant Secretary of Defense for Space Policy, said during an interview at the 32nd Space Symposium that the Pentagon is in the early stages of revising its space policy for the first time in more than three years, in response to recommendations from the 2014 Space Strategic Portfolio Review. The changes are intended to better utilize commercial offerings to augment military and intelligence satellites – a mandate for a level of resilience in space and on the ground, which ensures the Pentagon has access to satellites it requires for national security at all times and can operate them within any situation, including an attack. Through the increased acquisition of available capabilities via an industry partnership, the DoD can “harmonize policy and the use of commercial space,” Loverro said. The industry welcomes these and other developments as a forward-looking means of innovation in acquisition and to insert more agility for the end user. It also clearly illustrates how the future of DoD SATCOM modernization depends upon the industry partnership. Senior government leaders are acknowledging the need to rely upon commercial satellite communications (COMSATCOM) for the adoption of an enterprise-level, completely integrated SATCOM architecture and strategy. For too long, disconnected procurement practices—frequently driven by Lowest Price Technically Acceptable (LPTA) mandates that lend to commoditization—have forced real value out of timely and effective solutions, eventually resulting in delays and cost overruns, which inhibit the ability to deliver the much-sought robust connectivity to servicemen and women in support of their missions. In contrast, an integrated architecture will enable the DoD to leverage both COMSATCOM and military satellite communications (MILSATCOM) as a strategically planned holistic capability required for successful mission execution. A strong, forward-looking partnership between the government and industry is required in order to ensure that this vision takes flight, so the warfighter has robust and globally-accessible trusted capabilities. The satellite industry offers a wide range of capable solution sets well suited for government applications. Additionally, newer business models such as SATCOM as a Service are ideally suited for the type of business models the government is exploring to add greater efficiencies and responsiveness to the DoD requirements, in contrast to broadcast-centric fixed transponder leases. SATCOM as a Service allows users to leverage COMSATCOM for core functions, while seamlessly integrating with MILSATCOM to address any remaining gaps for superior redundancy, diversity, protection, scalability and global portability – the ideal resiliency approach. It frees up military members from the administering of disparate networks so they can focus on their missions. With SATCOM as a Service, information flows instantly from Point A to Point B using commercial capacity alongside MILSATCOM such as WGS. As a result, military users employ their existing WGS-certified terminals to affordably attain optimal efficiency and functionality. When world events trigger usage spikes, increased capacity can be readily accessed. Thus, mobile users benefit from the most flexible and immediate of technologies without the need to invest in additional stove-piped or piecemeal infrastructure. 2016 has been a year in which the “First There” attitude of industry and government leadership has led the way for the great changes to follow. I cannot help but be immensely encouraged by the spirit of collaboration taking hold and the recognition that we all can act to enhance space resilience while helping the government save taxpayer dollars and better support end users. In looking ahead to 2017, I am highly confident that the partnership will continue to retire dysfunctional, siloed SATCOM acquisition processes while empowering government and industry leaders to make an integrated “whole” which is much greater than today’s sum of its collective intellectual capital and experience “parts.” With this, we will forge more capable and resilient satellite systems – creating immeasurable advantages for military users. 2016 has been another busy year for IRG and, as always, activities have involved the IRG Directors traveling around the globe, attending, and in most cases speaking at, industry events, and we have also presented IRG-led events in Dubai, Washington D.C. and Oslo. As we move closer to 2017, reflecting on the shifts in the military perspective of satellite interference is quite interesting. IRG has, for some time now, been discussing with military representatives the importance of getting involved with many of the RFI initiatives that are currently available. This is partly because, as one of the largest commercial satellite users, the military is also affected by interference, whether self-imposed or otherwise and, therefore, to really have an impact we need the entire industry on board. 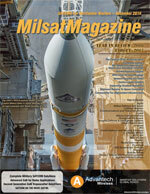 As I commented in my article in MilSat Magazine earlier this year, if commercial military services are the only transmissions without Carrier ID (CID), there is a strong likelihood those transmissions will be instantly recognizable as from military sources. I have, therefore, made military events an important part of this year’s IRG strategy and was delighted to get the chance to present at Defence Satellites in May of 2016. Satellite Interference was covered—the effect on the military, talking about why the military should care about resolving interference in all its forms and how it can also have input into commercial services operations. Overall, this presentation was well received and some were won over—at least, some in the room. As well as having a presence at military events, IRG has tried to bang the interference drum for military involvement through articles in magazines, such as MilsatMagazine. I’m pleased to report that these features are having an effect. IRG has accepted a number of new members this year, including a military entity that cannot be mentioned by name. That is quite encouraging, and the organization is noting that more military entities and associated innovators, such as Airbus, joining the IRG team and taking an interest in the topic and becoming informed as to what can and should be done to reduce and resolve this problem. In addition, a number of discussions with military operations within Europe and the US have been continued, encouraging further participation and involvement. The IRG directors are working on getting one of our 2017 workshops to be hosted by a military organization, and that is very much work in progress. One of the key components when it comes to educating the industry about interference is being able to talk about real life cases. To that end, IRG has begun gathering case studies from members. These case studies can be used in a variety of ways, depending on the nature of the issue. IRG workshops and events are always full of highly informative and detailed case studies; however, the organization needs to improve the ability to get these studies into other formats for distribution across other channels. I hope that we can build a massive catalog of this type of content—and not necessarily just from members. 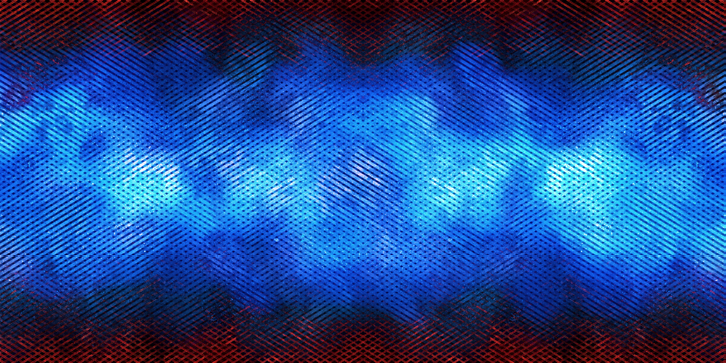 Case studies serve to raise awareness of interference as an issue as well as allowing others to experience similar cases in order to gather ideas as to what could be causing interference and how to resolve that challenge. One of the case studies written so far involved a case of radar interference—a resolution was conceived that involved several satellite operators all working together. Kratos provided a case study about how they were able to detect interference for a customer using their monitoring solutions. The IRG is still looking for more of this type of content—if you have resolved a case of interference and think that your solution could make an interesting story for others, please let the organization know. I can audibly hear the groans as the audience reads that heading, as I know CID has been one of the topics IRG has been promoting for a number of years now. A lot of the groundwork has been done, but 2016 seemed relatively quiet for CID after a massive wave of activity with standards and technology in recent years. The FCC moved its deadline back for US broadcasters to become CID compliant and the organization's initial reaction was one of disappointment. However, after some reflection, this isn’t all bad news. Quite the contrary,this it means they are taking CID seriously. The industry simply wasn’t ready this year, but that is starting to change. I believe we should be ready for the new deadline of September 2017—this means that all of those affected by the FCC guidelines need to start implementing and testing CID now to ensure their adherence. The real issue for military use of CID is the technology. Yes, the technology is present in all of the new modem and modulator models—DVB-S2X has made that possible. However, those commercial services that require CID cannot necessarily change their existing technology overnight just to satisfy the CID requirements. That is why IRG is looking at the development and production of a cost effective add-on unit—initially L-band—to connect at the transmit output of any modem, etc. This would allow many services to be quickly, effectively and inexpensively upgraded over the next few years. This would create a practical way forward for military services to become compliant without the need to re-equip. The FCC deadline, which is followed in January 2018 by the guidelines issued by the World Broadcasting Union’s International Media Connectivity Group’s (IMCG) for all SCPC and MCPC transmission to have CID, will certainly lead to industry implementation. As more and more users begin to adopt the standard, the military will need to follow suit to become just another “number plate” in the sky. Also, on the flip side, the more users with CID, the easier it will be to identify and resolve issues when errors are made accessing satellites. I would like to see even more interest and involvement regarding CID from the military. 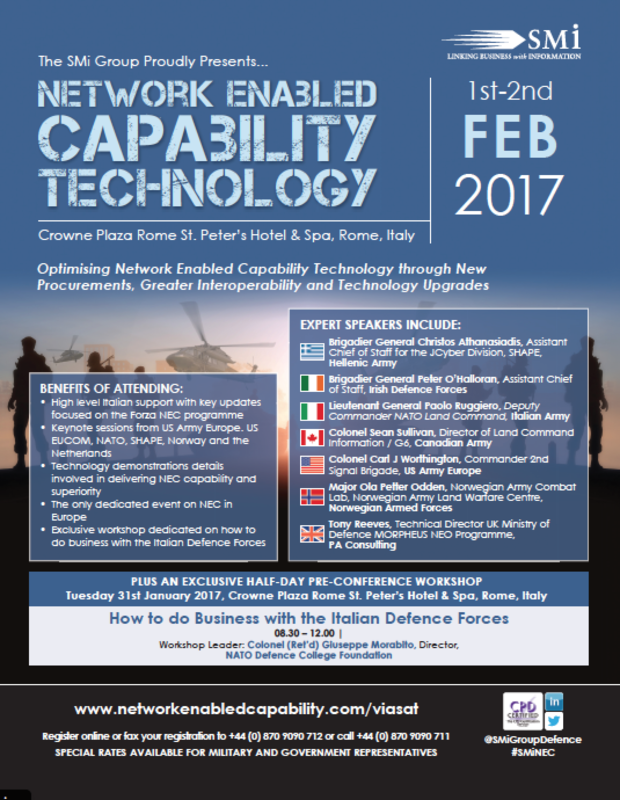 IRG has been asked to speak once again at Defence Satellites, this year in Rome in May of 2017. This event was a really great platform last year so I’m excited that IRG has been asked to return. IRG will also continue with a presence at other, similar events. My team will be ensuring a more military focus at our IRG workshops, which have participants focus intently on the key points and solutions for the resolution of interference. Martin Coleman is Executive Director, the Satellite Interference Reduction Group (IRG). Martin is responsible for spearheading a number of significant initiatives and is committed to introducing new technology and processes to mitigate all types of satellite interference: VSAT TDMA Systems, BIG Data; a reference guide to Interference; sorting out those Difficult Cases including new standards and processes within the Geolocation industry; assisting the ITU in dealing with Harmful Interference; and implementing Carrier ID (CID). Martin regularly addresses the industry on the subject of satellite interference, at global industry events, on an individual basis, and at IRG-led conferences and webinars. Mr. Daughtridge, 2016 has been a year of some change in the satellite industry with the growth of HTS satellites and the drop in bandwidth costs impacting both satellite and network operators alike. What are Kratos’ views on these changes? Stuart Daughtridge (SD): Well, in addition to HTS’s impact on bandwidth capacity and costs, traditional satellite ground systems have been challenged by other industry trends such as the emergence of “Everything over IP” and virtualization, a changing competitive environment and the growth of managed services. Let’s take them one at a time. What’s your take on HTS Satellites and their impact on bandwidth pricing? SD: HTS is massively increasing the amount of capacity and driving down prices. However, lower bandwidth costs will enable services that support a wide range of new applications and in the long run will help drive growth in the industry. If you look at the cell phone industry, they continue to offer more data for roughly the same amount of money, yet the industry continues to rapidly grow despite steadily decreasing cost per MB. SD: The satellite industry will be able to enter new markets and services from which they were previously economically excluded. Many of these markets will require new ground technologies to be more software-driven than hardware-based to support new applications. The mobility market is a perfect example of this. 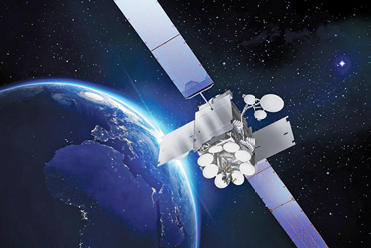 Over the last ten years, technology improvements in antenna systems and amplifiers, along with the growth of the Internet and the need for connectivity, have made the mobility market a significant, exciting, growth market for the satellite industry. Has the growth of High Throughput Satellites (HTS) had an impact on interference? SD: Yes, HTS come with their own unique challenges. HTS, due to their spot beam designs, tend to make intentional interference more difficult. However placing so many high-powered beams and satellites closely together, targeting more VSATs with ever smaller, low cost dishes with increasingly sensitive receivers, and the growth of mobile applications are likely to increase the incidents of accidental interference. This has led to the development of specially designed signal monitoring sensor systems that can be deployed and operated at much lower cost for HTS spot beams. At Kratos, we leveraged our Monics® carrier monitoring system technology to develop Monics 200. Designed for spot beam monitoring, Monics 200 automatically, and cost-effectively, determines modulation type, symbol rate, measured Eb/No, and detects and analyzes interfering signals affecting spot beam transmissions. In addition to needing tailored monitoring HTS sensors, RF management systems also need to be enhanced with advanced visualization and management tools that provide the operator with the information needed to quickly identify, characterize and rectify problems when they occur. The goal is to enable operations teams to manage the significantly greater bandwidth without having to increase personnel resources. Last September, we introduced Monics Enterprise to provide these advanced visualization, data management, and sensor management capabilities…and, I’m happy to say, it is already being embraced by satellite operators around the world. SD: Very Small Aperture Terminals (VSATs) Time Division Multiplexing access (TDMA) networks have been growing dramatically to support data and enabling more efficient bandwidth use, and HTS satellites will only accelerate this growth. VSATs account for approximately 40 percent of all accidental satellite interference and since a VSAT network can have thousands of terminals, identifying the one or more causing the interference can be a daunting task. Fortunately, new technologies on the market can find and mitigate VSAT interference quickly and effectively. One such product, SatGuard, can actually identify the terminal(s) causing adjacent satellite interference by extracting terminal ID number(s). SD: Virtualization is not a new technology by today’s standards. It is, however, somewhat new to ground systems. RF/antenna systems from the processing equipment. This effectively virtualizes the RF/antenna systems, while also enabling the consolidation of processing equipment into fewer, yet higher density computer platforms. The migration to virtual ground architectures and the virtualization of hardware products into firmware and software applications will result in simplified and more cost effective ground infrastructures, while enabling more dynamic services. For example, HTS operators can greatly reduce the costs of the multiple gateways needed for spot beam satellites by removing the processing capability from the gateways and, instead, establish regional processing centers. In this case, digital IF can link the gateways to the regional processing centers. How do you see the industry changing? SD: As customers become more focused on connectivity, service providers have to provide solutions that include the integration of satellite and terrestrial networks. This convergence of technologies is driving a real shift in our customers’ engineering capabilities, from RF expertise to IP expertise and the proliferation of hybrid satellite and terrestrial networks. Products such as Kratos’ NeuralStar® SQM are transforming network management into end-to-end service quality management solutions by combining teleport equipment management, with true enterprise level network management, and RF signal management. It gives operators true end-to-end visibility into the network, providing the information and tools to optimize revenue and profits, based on network performance and customer Service Level Agreements (SLAs). SD: In a managed services environment, companies don’t sell equipment or software to the client, but instead assume responsibility for operation of key functions, thus enhancing efficiency and flexibility. The explosive growth in the satellite business has greatly increased the need for RFI or EMI monitoring of military satellite communications as well as commercial SATCOM. With so many satellites operating on common frequencies and orbital slots, there are frequent opportunities for SATCOM interference. The Department of Defense (DoD) is increasingly relying on commercial companies for interference monitoring and geolocation services. Kratos’ contract with the Joint Functional Component Command for Space (JFCC-Space) is a good example of this cooperation. JFCC Space is responsible for executing continuous, integrated space operations to deliver theater and global effects in support of national and combatant command objectives. This includes monitoring and protecting the commercial satellite bandwidth leased by DoD. We provide JFCC Space with a managed services offering whereby we are responsible for RF monitoring, interference detection and geolocation services for all DoD leased Ku-, C-, and X-band commercial bandwidth worldwide. DoD relies on commercial bandwidth to support critical mission needs, including reconnaissance, surveillance and broadband communications between commanders and field units. Our program with JFCC Space illustrates the increasingly important concept of government agencies utilizing commercial managed services so uniformed personnel can focus their attention on critical mission-related activities. The supplemental COMSATCOM support provided by Kratos and other companies is especially important in light of the fact that an estimated 80 percent of US military satellite communications are carried by commercial satellite operators, rather than by MILSATCOM systems. Mr. Daughtridge has been with Kratos-Integral Systems since 1999, and in the satellite and aerospace industry since 1986. In his current position, Mr. Daughtridge leads Kratos’ satellite ground segment technology initiatives. These currently include advancement of signal cancellation and digital IF applications, virtualization of ground system operations and development of monitoring and managing technologies for HTS satellites. Additionally, he leads advanced technical planning for the next generation of ground segment technology. Prior to his current role, he held several senior management positions, including SVP & GM of the Integral Systems Products Group, SVP & GM of the Integral Systems Commercial Group, as well as Program Manager of several major commercial programs. Before joining the Company, Mr. Daughtridge held various management and engineering positions with Orion Satellite Corporation, Intelsat, and Spacecom. Mr. Daughtridge holds a Bachelor of Science from Lafayette College.